Upgrade Your Car Speakers, How Often Should You Do It? » Upgrade Your Car Speakers, How Often Should You Do It? Any car enthusiast will appreciate having the best sound system installed for their car. This will ensure that your car has the best sounds in the street. At the heart of any awesome sound system is a set of high-quality speakers. One of the most common questions at car forums is this: how often should you upgrade your car speakers? This may seem like a trick question because there is no hard and fast rule when it comes to speaker upgrades. This article will provide an answer to this question while also answering other speaker-related questions. To be frank about it, there is no accurate answer to this question. There is no real answer as to how often you need to replace your car speakers. However, depending on factors such as the performance of your sound system setup, the overall condition of your speakers, and the progress of development in car audio technology, here are some possible answers. This is the most common reason why you should replace your car speakers. In fact, most car owners choose to replace their speakers once they give out. Categorically speaking, this is the most cost-effective option in this list. Most speakers, whether they are OEM or aftermarket, are designed to endure years of use. However, eventually they will still break down. This can result to poor-quality sound, if they are even operational at all. When any of your speakers breaks, it is time to replace them, preferably with a set that’s better. One of the best times to replace your speakers is when you are upgrading other parts of your sound system. 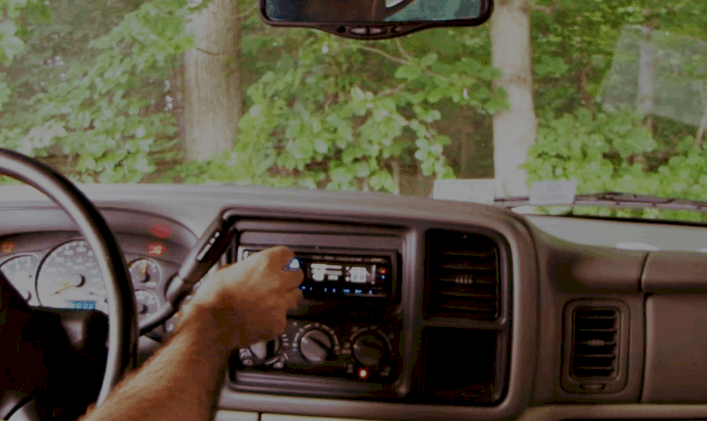 Upgrading core items such as the head unit or amplifier is the best time to upgrade your speaker setup. Replacing your car speakers with a set that better utilizes the capabilities of your head unit and amplifier will help you get the most out of your upgrade. If all components of your car audio system match with each other, it greatly improves your listening experience and gives maximum value for your money. When there are speakers better than what is installed in your car, the smart choice is to purchase them. Not everyone has the budget to take such an approach, but if you do have it, it will be a smart investment. Car audio technology is improving in an annual basis, and your current OEM or aftermarket set may prove to be outdated within 5 years or so. In fact, most OEM speakers are not all that great compared to other speakers on the market. If there are better car speakers available and you have enough money to purchase it, then you should go for the upgrade. While car audio technologies have remained fundamentally similar for a very long time, there are some updates that provide very tangible benefits for its user. For example, today’s speakers are more optimized for playing digitalized sound. Also, some speakers are more capable of generating solid sound across ranges while occupying less space. Last but not least, updates on today’s speakers makes them better suited for more advanced car audio components. Periodically replacing your speakers (every 4-6 years is considered ideal) will keep your audio system up-to-date. Replacing your car speakers every 1-2 years may not be the most practical option out there because not everyone can afford to replace speakers that often. However, if you have the means or you have an exacting taste in audio, replacing your speakers every year or two may prove to be advantageous. Sound quality and fidelity are both significantly improved if you replace your speakers regularly, thanks to the updates car audio makers introduce to their product lines. Because there is no real rule when you should replace your speakers, it is generally up to the car owner to determine when their car is due for a speaker upgrade. The most important sign that you need an upgrade is if there‘s slippage in the performance of your speakers. Here are some of the ways to determine if your speakers are due for a replacement. When you start hearing unusual noises - One of the most obvious signs of speaker damage is when there is presence of abnormal sounds. When you hear weird sounds generated by your speaker, it is an indicator that your speaker is already blown or there is a problem with the flow of electricity in the speakers. When you start hearing rattling or popping noises from any of your speakers, it might be due for a swap already. When there is sound distortion - Distorted sound is perhaps the best way to determine if your speakers are due for a replacement. When there are unwanted alterations in your favorite song or movie while it’s being played in your car, then your speakers and/or other parts of your sound system might be having problems. If this distortion persists or keeps on getting worse, then you might have to swap out your speakers, as well as other parts of your sound system. When sound range is affected - Specific speakers are designed to operate within specific frequencies. When specific frequencies of sound get compromised, it is a telltale sign that something is wrong with your speakers. One simple way to test for sound compromise is to adjust the bass or treble. If there are discrepancies in sound from a specific range, it’s a sign that some or all of your speakers might be busted. To conclude everything that is stated in this article, there is no hard and fast rule in determining the best time to replace your car speakers. While speakers are generally designed to keep functioning at a high level for a long time, updates in speaker design and performance can justify replacing any or all of your speakers after a few years. Replacing your speakers might be appropriate if you’re upgrading other parts of your sound system such as the head unit or amplifier. However, any sign of speaker failure should make you start looking for a replacement.